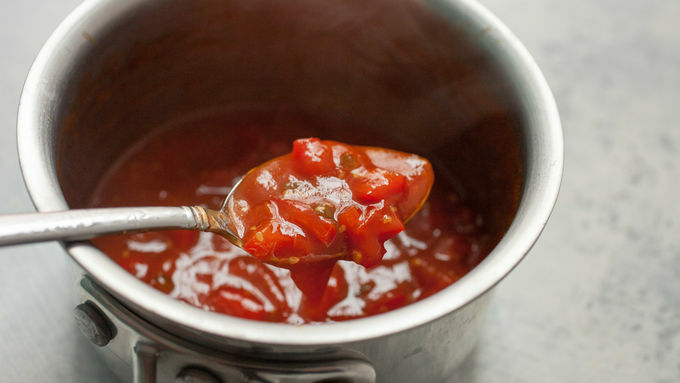 Bring tomato jam ingredients to a simmer in a small saucepan. When the tomatoes start to break down, reduce heat to low and continue simmering for about 20 minutes, stirring regularly, until mixture thickens. Remove from heat; mixture will continue to thicken as it cools. Meanwhile, combine ingredients for blackened seasoning and sprinkle liberally on both sides of the pork chops. Add a drizzle of olive oil to a large skillet over medium heat. Once it’s hot, add pork chops and sear for 2 to 3 minutes per side. Transfer pork chops to oven to finish cooking (4 to 6 minutes, depending on thickness). Pork chops are done when the internal temperature registers at least 145°F at the thickest point. 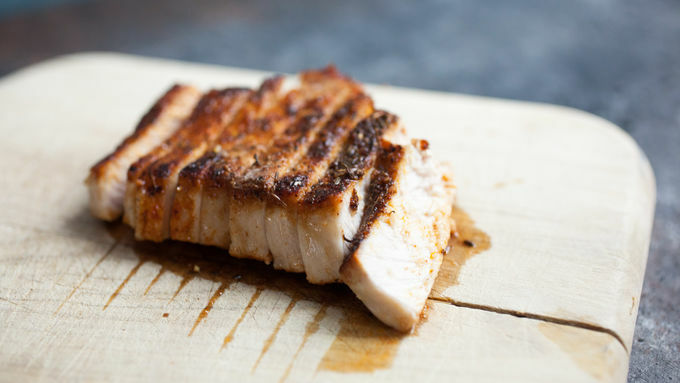 Remove pork chops from heat and let rest for a few minutes before slicing into strips. 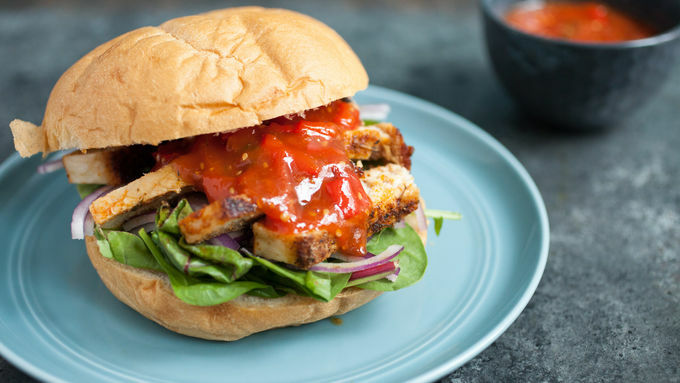 To make sandwiches, add greens and onions to the bottom half of buns, followed by sliced blackened pork chops. Top with tomato pepper jam, and enjoy. If you don’t want to make your own blackened seasoning, there are many store-bought versions that can be used for this recipe. Serve tomato jam at room temperature or chill for later. Sometimes the thing that takes a sandwich from good to great can be a small thing. Maybe it’s a change in preparation or a different topping. Maybe it’s as simple as a quick homemade spice rub! 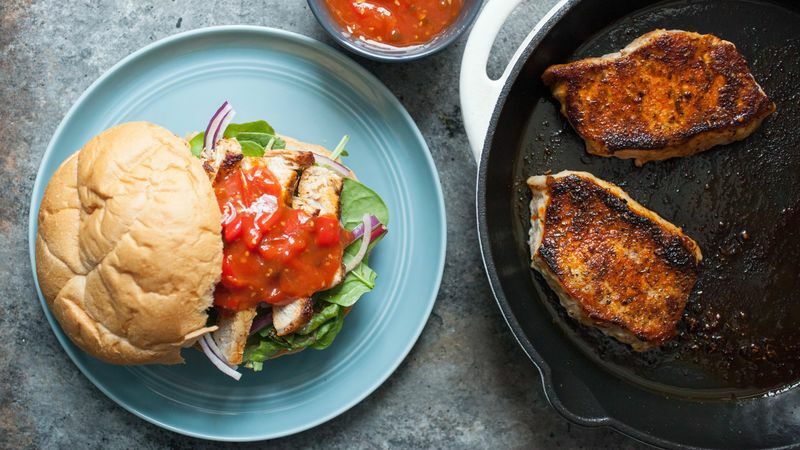 These pork chop sandwiches have two elements that take them to the next level. First, the pork chops are blackened. While you can buy blackened seasoning in most stores, it also isn’t hard to just mix up a simple one on your own. 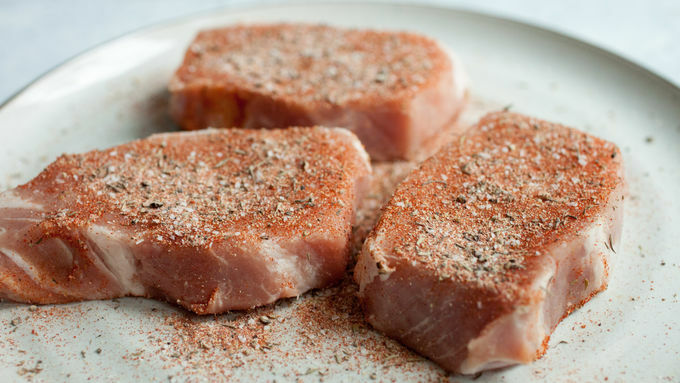 The seasoning gives the pork chops an excellent crust and color and deep flavor. 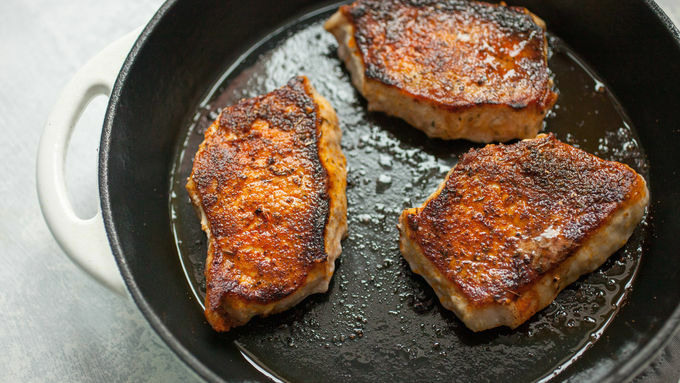 To cook the pork chops, I recommend searing them in a hot oven-safe skillet with a little oil to caramelize the crust, and then finishing them in a 350°F oven. They should need just a few minutes in the oven to finish cooking through. Try not to overcook them, as pork chops can dry out quickly. If I’m being honest though, the star of these sandwiches is actually the quick tomato pepper jam that goes on top. It has a bright tomato flavor with a little spice and sweetness to it. It’s pretty much the perfect pork topper, and you could serve it with any grilled pork cut. You’ll want to slather it on everything! It’s a particularly nice topper for these sandwiches though. Sandwich game, elevated.